An apple brandy from France, Calvados is wonderfully dry and crisp with just a hint of apple flavor. It’s sort of like if someone made a whiskey from apples instead of grains. 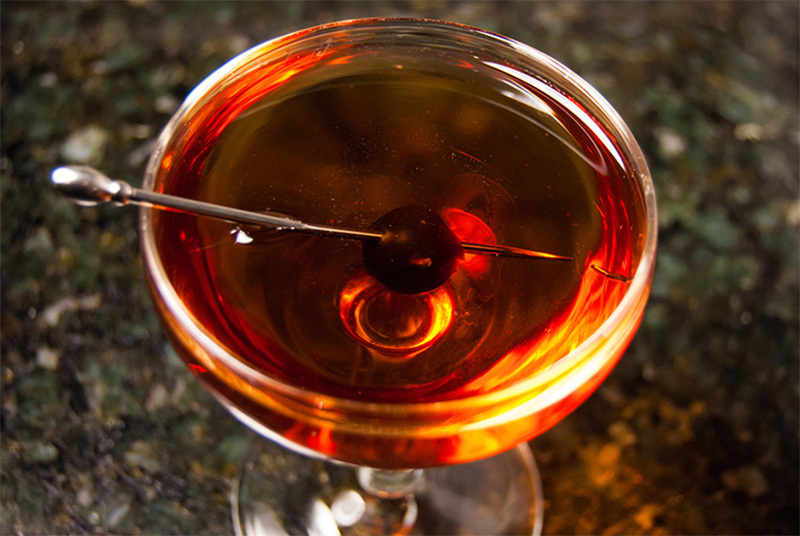 It’s great in a snifter or whiskey nosing glass, but it also works really well in cocktails. The best part is that you can get VSOP or even XO versions for much cheaper than comparable cognacs, making it a good bargain in addition to being a unique cocktailing ingredient that actually plays well with a lot of different mixers. This particular drink gets a nice, deep flavor from the Dubonnet Rouge, which is one of the most wine-like quinquinas I know of. I used my own homemade aromatic bitters, but Angostura or another brand will do just fine.